The 2017 Dodge Charger is over 45 years in the making. This classic muscle car exudes the Dodge heritage in every inch of its sleekly designed exterior, massively powerful engine and its well-equipped interior. The lean, sculpted lines of this powerful vehicle seem to be in motion- even when the vehicle is parked. This powerfule performance vehicle delivers on every front, including advanced technology, comfort and safety. 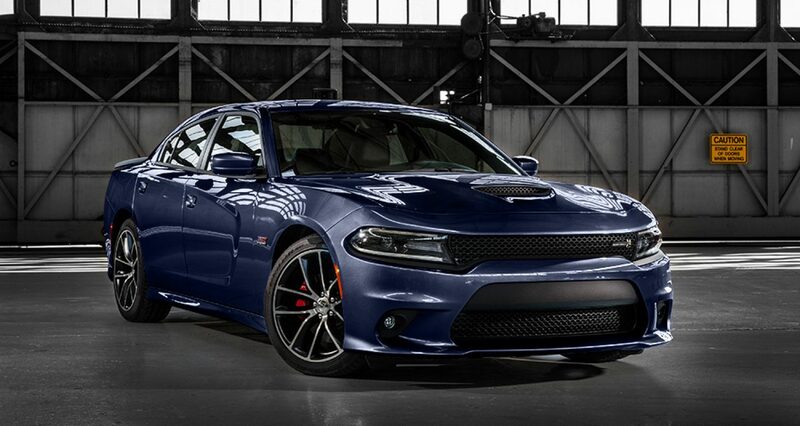 The 2017 Dodge Charger is the sports sedan for the race car driver in all of us! There is no better place than Cassens and Sons Chrysler Dodge Jeep Ram to find a 2017 Dodge Charger for sale in Glen Carbon and Belleville, IL. Our 2017 Dodge Charger inventory in Edwardsville, IL is unsurpassed, as well as our large selection of new vehicle models and pre-owned vehicles. We are extremely proud of each and every one of our expert team members, from the sale people to our finance department and our certified mechanics in our full service repair department. Now is the time to test drive a 2017 Dodge Charger in Florissant, MO. Come down and visit us to experience the thrill of the power behind the wheel of this awesome muscle machine. If you are looking for a classic sports car loaded with many standard features, the 2017 Dodge Charger in Glen Carbon, IL is the vehicle for you. Standard features include a leather wrapped steering wheel and shift knob, outside temperature display, 5.0-inch touch screen display, acoustic windshield, LED daytime running lamps, passenger assist handles and rear arm rest with cup holder. This stylish machine can also be upgraded with any of the optional features, such as rear park assist, power sunroof, blind spot and cross path detection, rear back up camera, GPS navigation and Beats™ premium speakers with subwoofer. 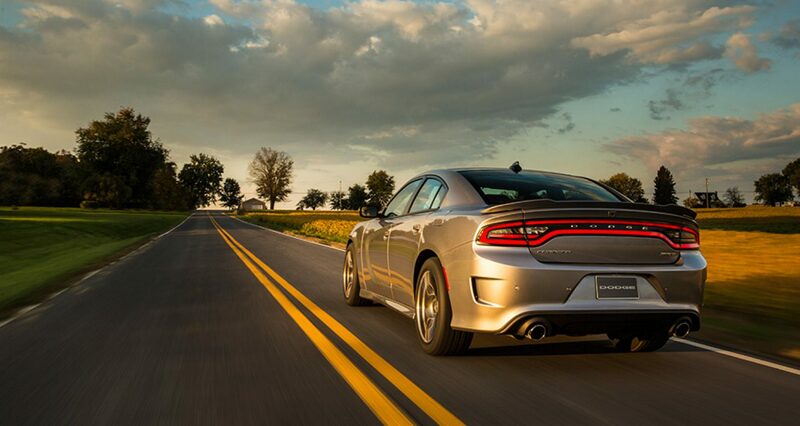 No matter how you build your muscle car, you will certainly enjoy the exhilaration of the drive in the 2017 Dodge Charger. The 2017 Dodge Charger is packed full of power with four available high performance engines. The 3.6 liter Pentastar® V6, 24 Valve engine is lightweight and compact, with dual overhead cams. The 5.7 liter HEMI® V8 MDS VVT with Fuel Saver Technology is a powerful and efficient engine. The 6.2 liter V* HEMI® Supercharged engine is the extreme engine, boosting the Charger SRT® Hellcat to the most powerful of muscle cars with 707 horsepower. 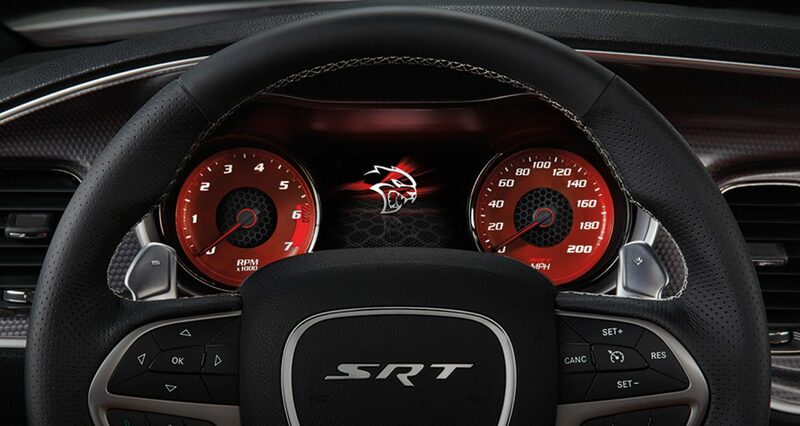 The 6.4 liter 392 HEMI® V8 SRT® engine comes with our 8 speed TorqueFlite® automatic transmission. All of these engines include state of the art Variable Valve Timing (VVT), which maximizes performance and improves efficiency. There is no doubt that the 2017 Dodge Charger is a high performance muscle car to be reckoned with. The Dodge Charger is waiting for you at Cassens and Sons Chrysler Dodge Jeep Ram in Glen Carbon, IL. Let's set you up with the model and features that work with you and your lifestyle.